"My iTunes 12.2 freezes constantly, how to solve it? It's been happening 2 or 3 times a night since the update." "When I'm watching a show on Apple TV, iTunes had frozen again and couldn't load anything else." 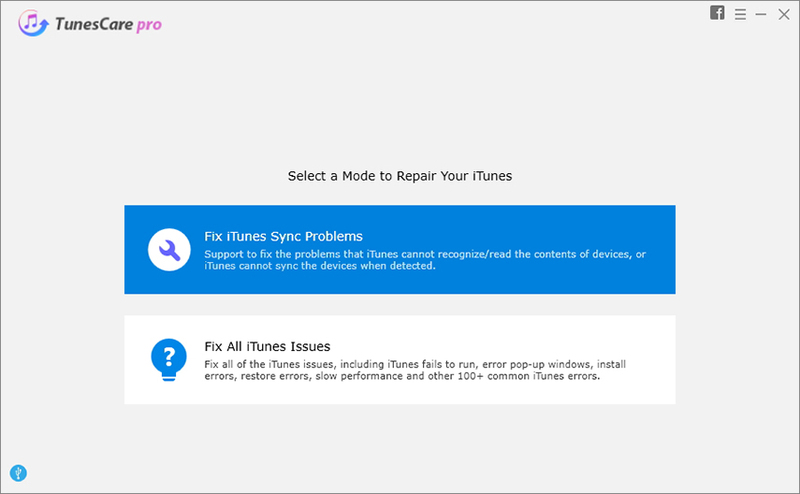 "iTunes freezes immediately after plugging in iPhone or iPad, how to fix iTunes unexpectedly quits issue?" If iTunes freezes while you're using your iPhone, iPad or iPod with your computer, it means there's a problem that could potentially cause other trouble as well. Hence, how to fix a freezing iTunes while restoring/syncing may become your most concentrated point. To help you get rid of this trouble, this post provides 7 effective methods to fix iTunes freezes issues easily. Outdated iTunes software may not be compatible with new iOS device since iOS 10/9/8 Upgrade. This may cause incompatibility iTunes freeze during the using process. Apple regularly releases updates to the iTunes software. In addition to software enhancement, these update version often include fixing to reported problems. Downloading and installing the latest released iTunes may solve the crashes problem in iTunes. You can find the latest released version of iTunes on Apple's website. A problem with the cable connection between your iPhone/iPad/iPod and computer may cause iTunes freezes. A loose or damaged USB cable can hinder proper communication between iOS device and the iTunes. In addition, the problem with your computer's USB port may cause iTunes frozen during the using process. Most devices require a high-speed USB connection to communicate properly. Connecting the device to a low-speed port, such as on a keyboard, may result in the synchronization process freezing. To fix this problem, you'd better to check the USB cable to make sure that you have the Apple-supplied USB cable directly connect to your device. The installation of third-party plugins may cause conflicts with the iTunes. When this occurs, iTunes may fail to work or may freeze during using process. You can verify the problem by pressing the "Shift-Ctrl" while opening iTunes in Safe Mode. If the problem persists, you may need to uninstall the plugins to restore the functions of iTunes. A virus on your computer may cause iTunes to act erratically or to freeze constantly. Cleaning the virus may solve the problem. It could be a wise decision for you to use the anti-virus tool to avoid this happen. Some application installed on your computer can use most of your computer's RAM. Closing the program before opening iTunes may restore iTunes' ability to operate. For example, if your anti-virus software is running a scan, you can stop the scan before attempting to open iTunes. If your iTunes still keeps freezing, it may be due to the database which holds your iTunes information is corrupt. There's a professional rescue tool for you to fix all iTunes issues like iTunes freezes immediately after plugging iPhone/iPad/iPod--- Tenorshare TunesCare offers you an 1-click option to fix iTunes freezing and speed up slow iTunes easily. Step 1: Run Tenorshare TunesCare and click "Fix All iTunes Issues" to fix your iTunes on computer. Step 2: Click "Repair iTunes" to start downloading iTunes drives for repairing. Step 3: After downloading the repairing drives for iTunes, Tenorshare TunesCare will automatically start to repair your iTunes. After repairing, your iTunes will work perfectly. Hopefully the solutions recommend above can save you out. You can refer here to view more and learn to fix iTunes issues.